In America, tilapia has become an easy type of fish to come across. It’s inexpensive, can be purchased skinless and boneless, hard to overcook and mess up, and doesn’t have a fishy taste. These are common problems with other fish varieties and why many people choose tilapia. But, what you should know is that the tilapia you’re buying and consuming is not wild but it is farmed. It is almost impossible to find wild tilapia in any restaurant or grocery store. Thousands of fish are harvested daily because the farming is done on a large scale. Another thing to note is the food isn’t natural. Wild tilapia eat lake plants and algae. However, farms use soy pellets and GMO corn to fatten them up. Healthy fish oil in tilapia is practically absent which is really the reason why fish is so good for us in the first place. Farmed raised tilapia is actually bad for us for a number of reasons. According to recent studies, farm-raised tilapia can increase inflammation. While it is a popular source of fish because it is easily accessible and cheap to buy, you need to know how it can cause inflammation. Research indicates that consuming tilapia can make inflammation worse which could cause a variety of adverse health problems and have been linked to asthma, heart disease, and arthritis. People might be thinking that their getting their omega 3 fatty acid from the fish oil in tilapia to reduce the risk of heart attacks. 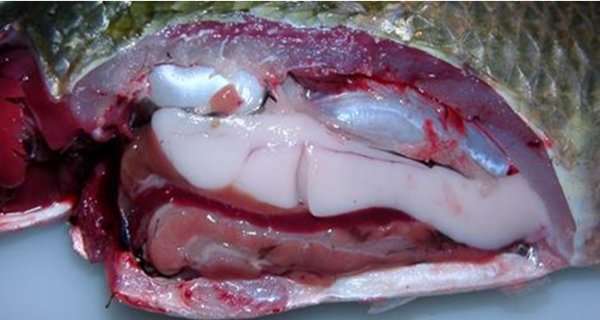 However, it has been discovered that the potential tilapia has on inflammation is much worse than bacon or hamburgers. Farmed fish often are exposed to 10 times the number of cancer causing organic pollutants in comparison to wild tilapia. It is likely that this is due to the feed. You almost don’t want to know what’s in the feed of farm fished tilapia. One of the main ingredients is chicken poop. Pig nd duck waste being transferred to a fish farm is also common. Ew? Fish that have been farmed are often found to have higher concentrations of pesticides and antibiotics. Fish that are farmed usually are crowded and this makes them more likely to be diseased. In order to keep the fish farm thriving, they are often given antibiotics to keep disease free. They are also treated with pesticides to fight off sea lice. The pesticides which are used on these farm fed tilapia are actually so fatal that they have been known to kill wild salmon which are exposed to them by accident. Unfortunately, the pesticides are even released into the sea eventually which then causes toxic effects on other marine life by entering their bodily systems. Farm bred tilapia actually have a much lower lever of healthy nutrients. We eat fish as a source of omega 3 fatty acid fish oils because they are so beneficial. However, the omega 3 fatty acids in farm raised tilapia are not really that usable to our bodies in comparison to wild tilapia. The farmed tilapia also contain lower protein amounts. Since the fish are often caged, they are typically fattier and have a higher concentration of omega 6 fatty acids. When we consume too much omega 6 fatty acids, we are more susceptible to inflammation. The omega 3 to omega 6 ratios are so poor that it can cause an imbalance in our bodies. Farm bred tilapia is also more likely to have higher dioxin levels. In fact, they are 11 times as likely to have higher dioxins as wild tilapia. Dioxins are toxic and can have adverse reactions on the body and can even cause cancer. The biggest problem with them is that when they enter our body, it takes a long time for them to get out. About 7-11 years is the half life of dioxin. As you can see, cheaper isn’t always better. The nutrients aren’t in the farm fed fish. Try opting for healthier fish or wild tilapia instead.